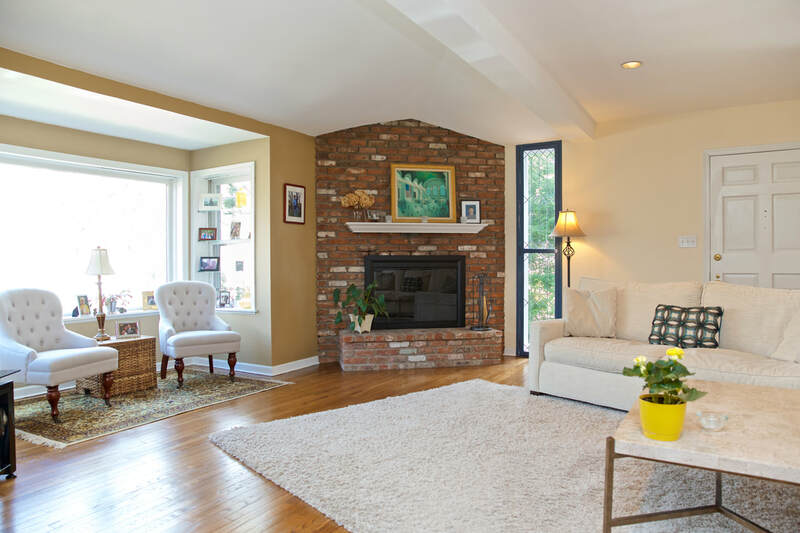 219 Silvermine Avenue is a home that stands out from all other homes. The words 'character' and 'charm' are thrown around in this business to enhance the mundane, but here we have a home that truly encompasses those words. Let's walk through. Living or visiting 219 Silvermine Ave has the added benefit of being located in Historic Silvermine, just a short walk to the Silvermine Tavern, and across the street from the Silvermine River. This area is immersed in history that has been protected by its residents. This particular home has a crushed stone driveway, leading up to a deceptively large red home with a green barn. Parking the car in the front two spaces of the driveway, and walking towards the front door, already this feels like the early part of last century - there is a post for hitching horses in the front garden, the brand-new chimney clean-out door on the exterior of the fireplace, as well as a view of the garage that was once a barn. Entering the front door brings you into a spacious living room, complete with a fireplace, view of the sweeping front yard, and vaulted ceilings. 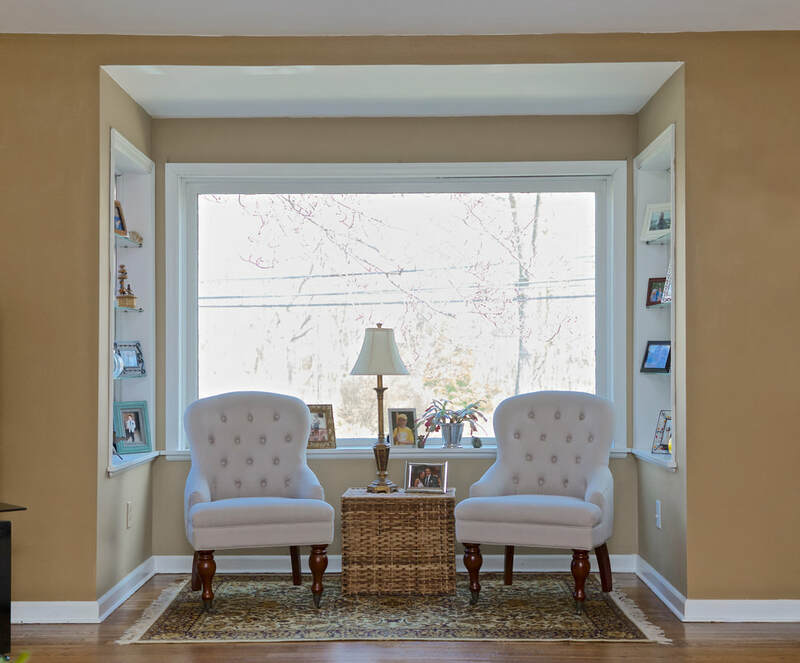 The hardwood floors are pristine, and there is a reading nook with built-ins at the front window. The feeling of this room is enough to sell any future buyer. The next room over is the formal dining room, with the second brick fireplace. This fireplace adds more charm to a dinner experience that guest won't be able to stop talking about. 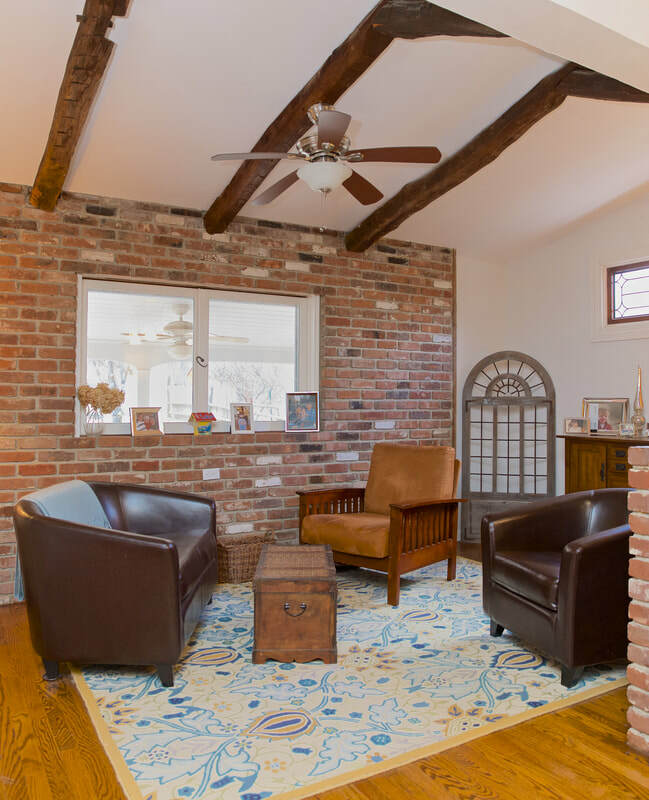 The kitchen and den are right off this room, and again, with brick accents throughout this main living space. Seeing a home with such magnificent details, shows how much was lost after the early 1900's construction to the mass-produced homes of today. The kitchen has many updates, including new appliances, counters, and more. The den is at the back of the home and is a great sitting room with views of the back yard and patio, or for eating as a family. There is a built-in closet, vaulted ceilings, exposed wood beams, and a ceiling fan - all small details that elevate the space. The kitchen also has access to the half bath, which has the back of the fireplace as the back wall. Newer fixtures, toilet, and decoration, makes this bathroom perfect for guests when entertaining. The stairs to the full basement is here as well, which is perfect for storage, or having a small office. The back portion of the basement has some space that can be finished which is currently being used for storage. The second level of this home is up the stairs in the living room. There are two sizable bedrooms and a full bathroom. The bedrooms all have hardwood floors that are original to the home, and many nooks and crannies that add to that charm we were talking about. There is a pull-down stair case for an attic that is perfect for storage. The bathroom upstairs is fully renovated, with new everything. The vanity has a granite top, with double sink, and new wood-style laminate flooring. Wainscoting through the bathroom, nice tilework, and ample space rounds off these updates. The outside of this home has as much to offer as the inside - starting with the back patio off the kitchen/den. This space has an overhang that provides protection from the elements so you can enjoy this space in most types of weather. This overhang is also a good footprint if you wanted to engage in future expansion of the home. The 2 car garage is also right next to this patio, and was at one time a fully-functioning barn. There is enough space for two large cars, but also a workshop, storage, and so much more! 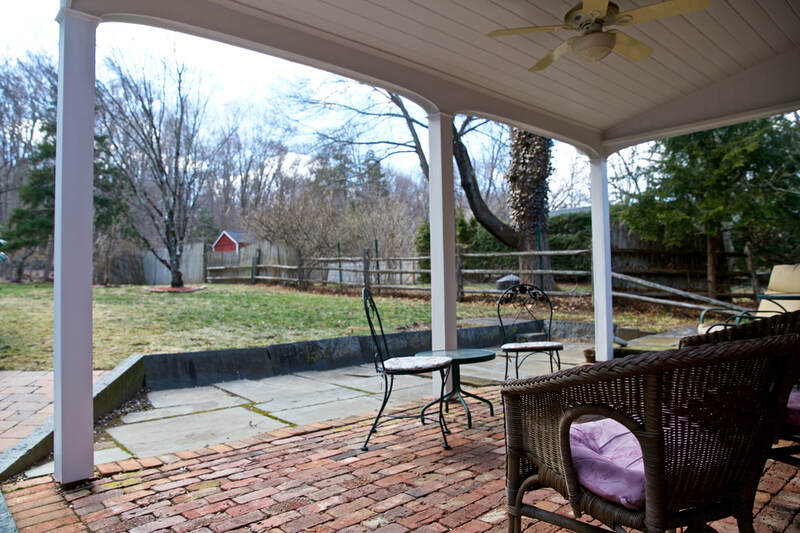 The real selling point of 219 Silvermine is the backyard, intentionally left until last. Though the lot is long and narrow, a future buyer won't think it is lacking in any dimension. The size of the backyard is perfect for all activities, weather lawn games, throwing the football, or kicking the soccer ball. It is immensely private, and feels more like a park than a yard. There are mature plantings everywhere, and backs up to a small hill of woods that creates a natural privacy wall. 219 Silvermine is a home without a match. A future buyer needs to do no work, and can move right in - there is no deferred maintenance. The tastes of the owner translate perfectly to all buyers, and the entertaining space is idyllic. All the amenities of the yard, the garage, the basement and attic, and the nooks and crannies throughout the home, round off the perfect future home for any buyer. Not to mention, all of this just minutes from Silvermine Tavern. This is the home for you, see it before it jumps off the market!